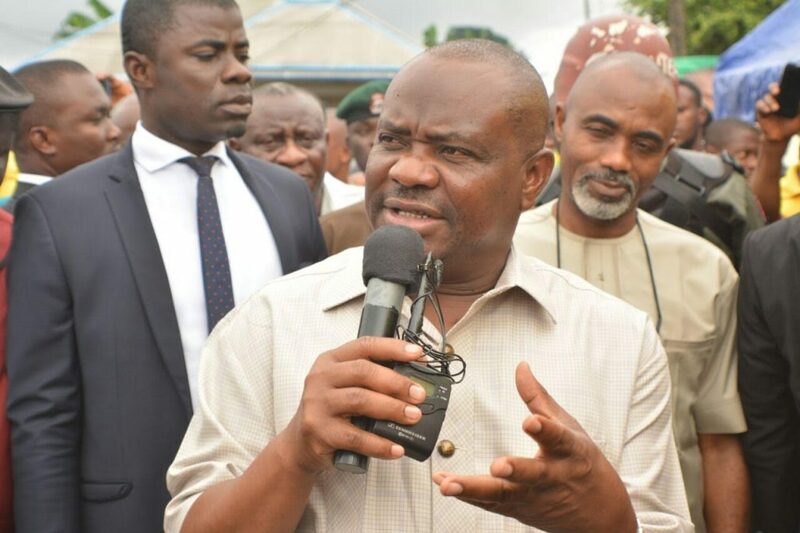 Governor Nyesom Wike of Rivers has accused security agencies of planning to assassinate him, The Nation reports. Wike said this at a ceremony to flag off the rehabilitation of the General Hospital, Terabor and General Hospital, Bodo in Gokana Local Government Area. Wike said, “For me, they are threatening that I will be the first governor they will assassinate. They are threatening that they will show me that they are security agencies. But, I will always protect the interest of Rivers state, no matter the threat. The governor added, “INEC has released a fake list of adhoc staff for the rerun elections before the conclusion of their mandatory training. Majority of those on the list are known APC ward chairmen and ward secretaries who are mainly unemployed, but listed by INEC as staff of the University of Port Harcourt . The governor further said, “Anyone whose son or daughter is on that fraudulent INEC list should tell him/her to stay away on election day. In its response APC State Publicity Secretary Chris Finebone on Thursday said his party would not join issues with Wike. Finebone said, “Definitely, APC candidates are busy campaigning for the rerun election while governor Wike is busy with his circus show. We wish him luck. Now is his turn to cry wolf and fowl when there is non!